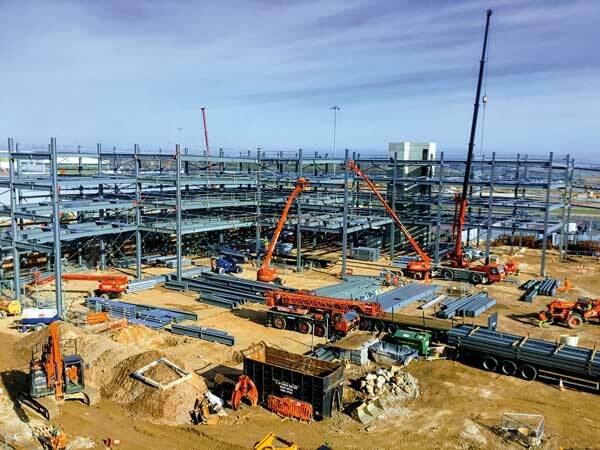 Working on behalf of Buckingham Group, James Killelea is fabricating, supplying and erecting 2,450t of steelwork for Luton Airport’s new five-level multi-storey car park. Measuring 80m × 114m and containing two external ramps, the car park forms an integral part of the Airport’s expansion programme that will increase its annual capacity by 50% to 18M passengers by 2020. The works also include an extension to the existing terminal building and a new two-storey pier. The £150M project is critical to meet increasing air travel demand in London, the South East and South Midlands over the next two decades.